Sometimes you simply can't believe that people think this way. And yet they do. 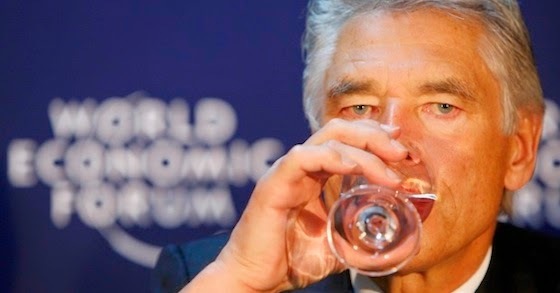 Nestlé's Chairman of the Board, Peter Brabeck, Evil incarnate! Peter Brabeck, once said this and now claims it was taken out of context. Whether this be true or not fact remains that big corporates like Nestlé want to take control of all the water and make a profit from it knowing very well that water is a basic need. Naturally people with half a brain go against this since it is something we have to fight for. Think about it. If they get this control what will stop them from trying to take control of the sun and air. Claims are being made that purifying water is costly. Good point but so what, the water companies already are taxing you and charging you extra for this. Now they want to let you pay more for cleaning water that mostly got contaminated and polluted by the same companies in the first place. This is utter lunacy. I got into a discussion with someone who was beyond stupid. He was defending this greed and even compared it to the border crisis in the US. No, I can't tell you the connection either. But the fact that he was defending it and gladly wanted to pay more for something that already is being paid for was reason enough for me not to take him seriously. He said it was stupid of me to feel entitled to have water as a right. Completely ignoring the fact that this is already determined in International Law. But even if it wasn't determined. It is such a basic concept that it puzzles me why someone would not see it as a right and wants to pay for it extra. Cleaning the water, yes of course that is logical. 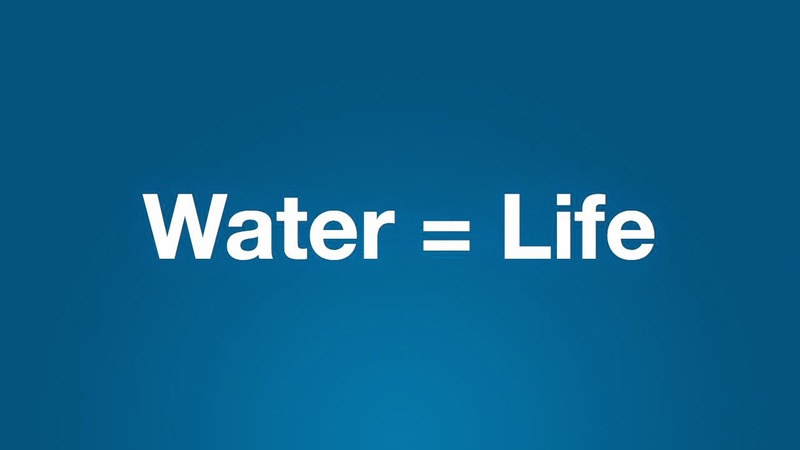 But seeing water as a commodity escapes me. It's not something that can be replaced by something else. We need water. 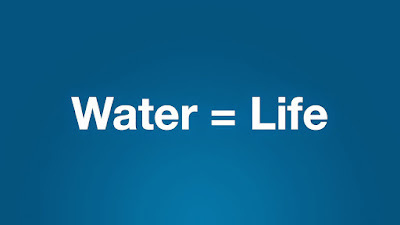 Our body is approximately 60 percent water. 3 days without water and you die. This is not something you can bargain with, it is something you need. Just as much as we need air and the sun. So the whole concept of making people pay for this is pure evil. Any one defending this concept need their heads examined. More and more these big corporations are letting their greed take over of everything we hold dear and need. And most of the time we let them because we care more about football and Justin Bieber than anything that is serious or political. It is actually very worrying and sad that people like me have to write articles about this to convince people to take a more active stand on this. IT'S BASIC NEEDS AND RIGHTS we are talking about people. Not something you can push aside, ignore and just lead your life as it is of no consequence to you. Without this you will have no life. PLEASE think about this and become more invested before it is too late.